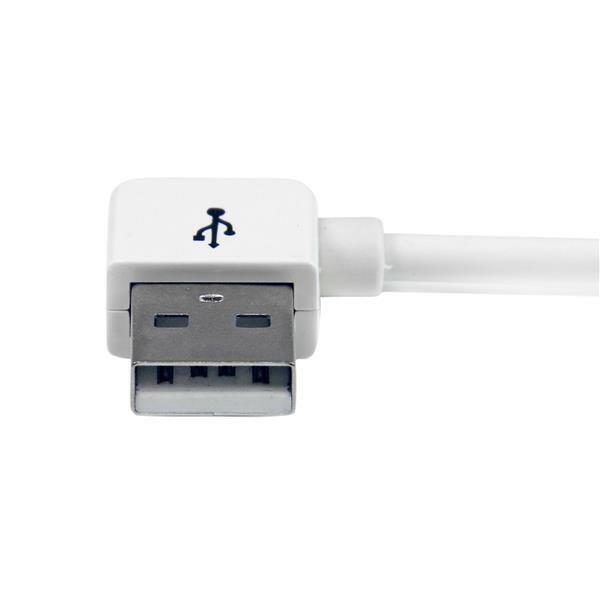 The USB2ADC1MUR Apple® (30-pin) Dock Connector to Right Angle USB Cable for iPhone®, iPod® and iPad® (1m) offers a simple and reliable solution for connecting iOS-enabled mobile digital devices to your computer, for syncing or charging. 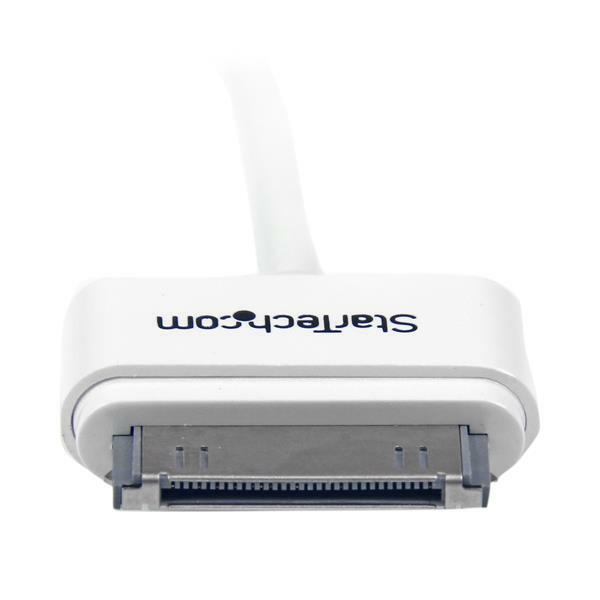 The right-angled USB connector allows for connection in tight spaces while the stepped Apple Dock Connector, designed by StarTech.com, plugs into your iPhone, iPod or iPad even when inside a protective case, avoiding the inconvenience of having to constantly remove the cover for every charge. 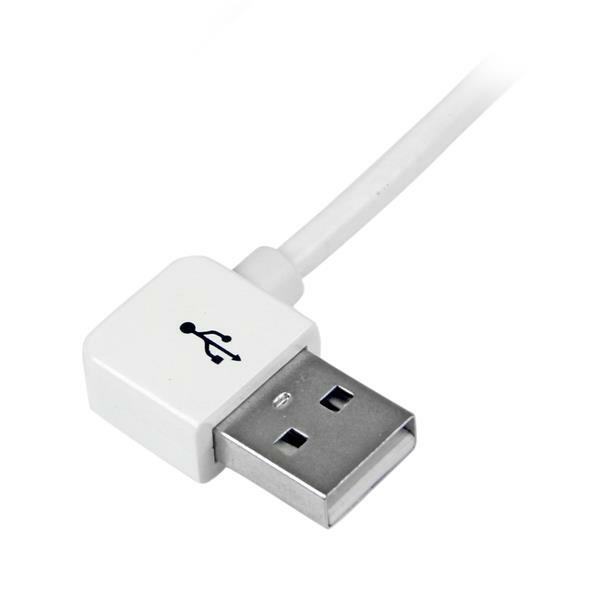 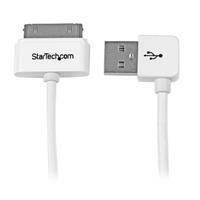 As an alternative, StarTech.com also offers a 1m Apple® 30-pin Dock Connector to Left Angle USB Cable (USB2ADC1MUL), which provides the same convenience as this right-angled cable, but allows you to connect to your PC or Mac® computer or your USB wall/vehicle charger from the opposite direction.